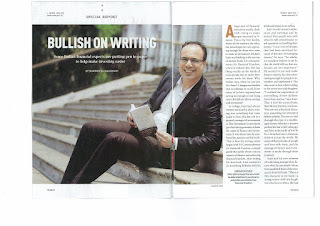 He is a senior corporate executive and bestseller writer. 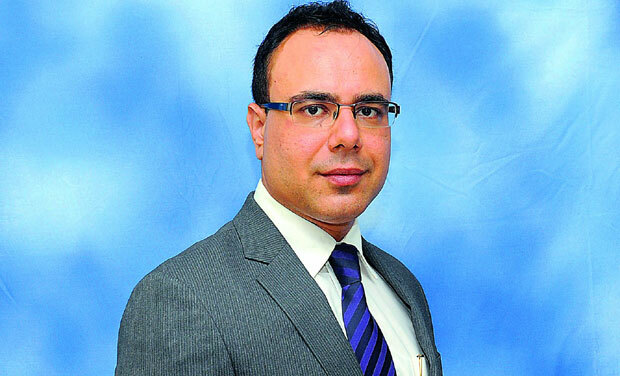 I would like to welcome Mr Mehrab Irani for accepting to be the guest of today’s Eshan’s Special Interview Series. Here I, Eshan Sharma, interview bestseller writers and famous personalities. Thank you, Sir, for giving time from your busy schedule for my blog. 1. Please tell us from where you belong? Please tell something about your childhood and career? I belong to Mumbai, India. My childhood was like any other normal boy – study, play and dreams. However, from childhood, I was deeply hurt at how others led their lives. A child knows what it wants to accomplish in life. At that point, everything is clear and everything seems possible. As children, we are not afraid to dream and yearn for anything. But, as time passes, a mysterious force begins to convince us that it is not possible. By repeating the same pattern again and again, are we moving towards the death of our very soul? We are all born into genius. Sadly, most of us die in mediocrity. We all are going to someday shed our earthly bodies and leave for another voyage – the journey of the soul. But then, does the journey of the soul begin when we actually die physically. Is the soul actually alive when we are here on this planet? As a child hoped that someday I would be able to remind others of their dreams, their true callings and the courage to turn their dreams into reality. 2. You are a well settled corporate executive and a decent earner. When did you first realise you wanted to be a writer rather than a profession alone? Was it your dream? When God blesses one financially, we should not raise our standard of living but our standard of giving. And God has been very kind to bless me with some knowledge and talent which I feel is my duty to share it with others. If I have a skill and don’t share it with others than I would be leading a very selfish life. So, my writings, articles, talks, TV and radio appearances, as well as books, are a humble attempt from my side to give it back to the society what nature has so kindly endowed upon me. Everybody has a ‘personal calling’. This is the promise between God and us. It is the promise each one of us makes to God before embarking on our earthly journey. Whoever you are, you have a personal calling, a desire that originated in your soul. This is clearly your mission on earth; the purpose of your very existence on this planet. In this physical world, financial slavery is one of the prime reasons which prevents humans from achieving the purpose of their soul. Take the example of a young teenage boy who is very good at cricket and wants to become a cricketer. May be his very purpose of embarking on this earthly journey is to play cricket and entertain others. However, the whole world, including his parents, teachers, elders and all are busy advising him to quit playing cricket and concentrate on his studies to become a doctor or engineer and live a “safe secure life”. In the name of this so-called illusion of “financial security” the boy is pushed into leaving aside his dream and live a whole life of slavery. This is what pained me a lot from early childhood. I thought that I will try to do something to resolve this misery of the physical world. I wrote my books to free humanity from financial slavery so that each person can then achieve their true higher purpose and fulfil the very reason of their existence on this planet. 3. You must be a busy person obviously, so do you get enough time to write? When do you do your writing things? Is there any secret place where you write? Being busy is certainly not an excuse for doing the very work which is supposed to be done. In fact, the most successful people in this world have the maximum time for their work because they don’t just exist but every atomic particle of their body lives, breathes and feels their work, passion, mission and the very core of their existence. I started writing when something within me told me that having some knowledge, perspective or vision and not sharing that with others is selfish. So I thought of sharing my ideas with the world. The purpose of writing is to connect with everyone and make this world a better place to live. I don’t need any secret place or plan or schedule for writing. Ideas flow to my mind, writing moves in my veins, I just need a pen and paper or should I rather say a computer or laptop to sit and write. The top four things which I take care while writing is - being honest to God, being honest with myself, being honest to humanity and being honest to the universe. When I was writing the book and building on various fictional characters, I imagined that maybe there might be a coincidence that some character may actually be a living person and personally personify my book character. As my books became bestsellers and started touching the hearts of the readers, emails started pouring in not only from India but across the globe. I never thought that my imaginary fictional characters might resemble somebody actually living. I got emails from various people from different parts of the country and even out of India of individuals resembling various characters like the marathon race runner or the young widow. I particularly remember that a woman wrote to me that she was a young widow of two, I think, 5-year twin daughters, which resembled the fictional character of Mandisa Kruger in my book who was a young widow of two under-10 children from South Africa. She said that she immediately identified with the character in my book, the struggles of the character, the emotions of the character which made her cry while reading the book which in turn resulted in my eyes getting numb while reading her email. For me, this was one of the very humbling experiences which the book has given me. 5. What inspired you to write your first book? I wrote my first book called “10 Commandments for Financial Freedom” in the year 2013. It is a simple straight forward book wherein I have brought out 10 principles relating to earning, protecting, budgeting, saving, spending, investing, leveraging, insuring, common financial mistakes and rules of money which I believe if anybody follows will lead him/her on the path towards financial freedom. It’s a very simple book and I believe anybody reading it will be able to understand it. After this book, when I used to meet a lot of people in seminars, conferences and used to talk with them, I realised that there is a lot of apathy towards financial thinking. When we ask a housewife that what are you doing with your money the typical answer is that, “I don’t know my husband or father is looking at it;” when we ask a young educated professional who has just started working that what are you doing regarding your future marriage, children the general answer is that, “I don’t know just now I am busy concentrating on my career,” when we ask a middle aged experienced professional in a senior position earning very good income that what are you doing about your retirement, children marriage then the normal answer is that, “I don’t know I have invested in that mutual fund or given my money to such a fund manager.” I am not stating that we should not go to professional fund managers, if we don’t know how to invest in specific stocks we should surely take the help of professionals but what I am trying to stress over here is that we should at least be aware what is happening with our money. But there is total ignorance about it. And people are generally afraid of the word “money”. And it is not their fault – during school or college we have been taught everything like math, science, history, geography, engineering, medical, law etc but nobody teaches us about the most important thing with which everyone in this physical world has to deal i.e. money. Yes, whether it is a King or a beggar, a CEO or a peon, a Minister or a normal party worker, a man or a woman, educated or uneducated – everybody in this world has to deal with money. Journey in this physical world is incomplete without money. And if we don’t know how to deal with money – many times our this journey becomes like mad. So, the idea, purpose and mission behind writing my first book “10 Commandments for Financial Freedom”. 6. How did you manage to portray a subject like finance in an entertaining way? The two most important things in this world are – entertainment and money. I thought why not combine both of them. Most of the people are afraid of the term money. So, I thought to present money in a thrilling suspenseful entertaining form. We all like to learn from stories and fables because we have been taught that way since our childhood. So, why not learn the most important subject also in the form of a fable? And that is when I got the idea of writing a “finance fiction”. 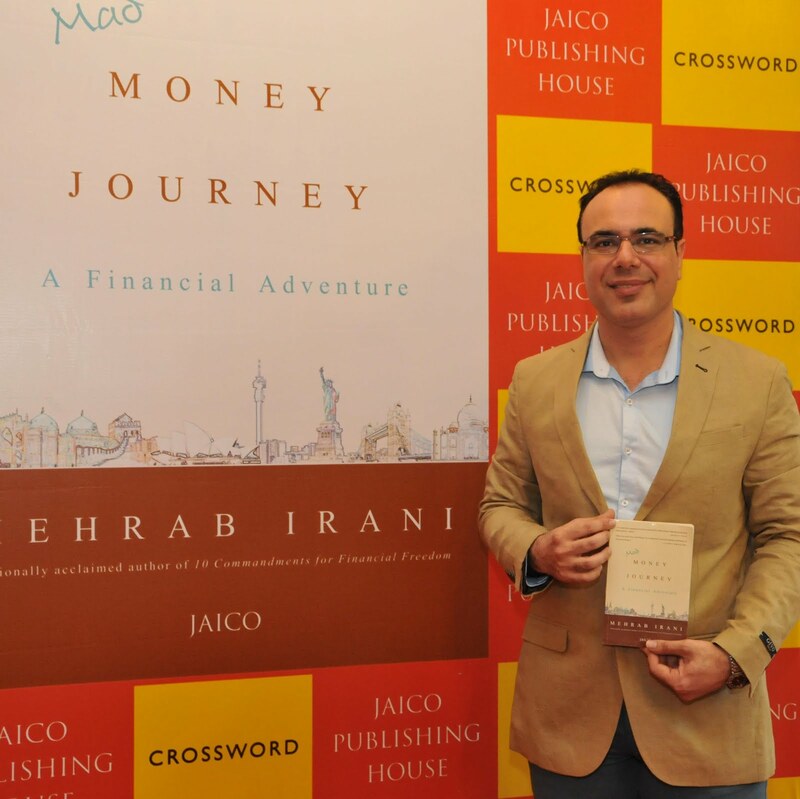 My book “Mad Money Journey” is a completely new refreshing book which combines finance and fiction in a manner never done before. 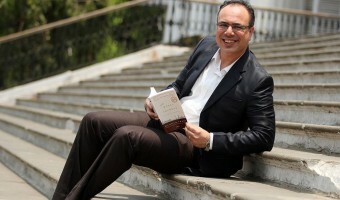 “Mad Money Journey” combines the principles of money, finance and investments on one side and of life and its wisdom on the other side in an inspirational, motivational and intuitive manner bringing out the relationship between man and money, entertaining in a thrilling suspenseful manner, promising to be a page-turner, helping and guiding its readers on a new path towards self-discovery, a financially free life wherein everybody, rather than being slave to money is actually able to live a happy successful life achieving their highest self and fulfilling their very mission of coming to this planet. The readers taking the “Mad Money Journey” will permanently change their journey by putting themselves in the right path wherein they will be introduced to their own inner self and true path. 7. 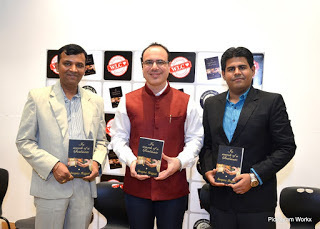 Your book has been praised by business tycoons like Mr Ratan Tata, Mr Rakesh Jhunjhunwala. How do you feel? It always feels great to be praised by eminent personalities from different fields like Mr Ratan Tata from business, Mr Rakesh Jhunjhunwala from investments and Mr Cyrus Broacha from the entertainment world. Having said this, the real happiness any author derives would be to get praise from the general reader at large because it is for them that the book has been written. If the author is able to draw a chord between himself and the reader than I believe the purpose of writing the book has been accomplished. 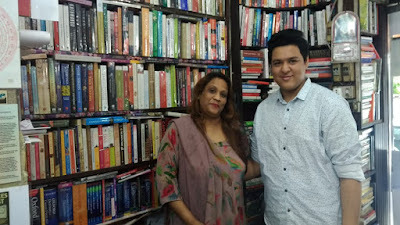 I have been fortunate enough to connect with readers, both males and females, from different strata of society, of diverse age groups, disparate language and cultural groups from not only India but various parts of the world. I have given my email id in my books and have received thousands of emails from not only across India but different parts of the world including Africa, UAE, Indonesia, Nepal, Pakistan, Singapore, Hong Kong, Sri Lanka etc. 8. Who is your favourite author and what is it that really strikes you about their work? There are many authors whose work I would like to read but I would not like to rate them or mention any one of them to be my favourite. However, I would like to state one thing that any author who through his / her work is able to make a positive difference to the lives of people, lifting them from the depths on their self-created graves to the heights of their personal glory, entertaining, educating and connecting to the hearts of readers through their minds and permanently changing their souls, would be amongst my favourite authors. 9. From where you get an idea of writing books? There is no dearth of ideas – it’s floating everywhere, one has to just be with an open mind and heart to catch it. Writing is a combination of fact and fiction. Whatever genre a writer might be writing, he/she has to first get the facts correct of what he/she is writing and then the author has to convert the fact into fiction or into a presentable format wherein the reader is able to understand, read and connect with it. 10. So are you working on another book? How do you develop your plots and characters? Yes, I am working on my next book which would be a sequel to my national bestselling book “Mad Money Journey”. It would be an astonishing return of the man from where no one has perhaps ever come back, to finish the unfulfilled mission, an unimaginable journey into an amazing world which possibly no one has ever been, demystifying the facts which none has ever discovered, unravelling the mysteries which who knew ever did exist, visiting those places which no one ever dared to, living that life after life which no one ever imagined. 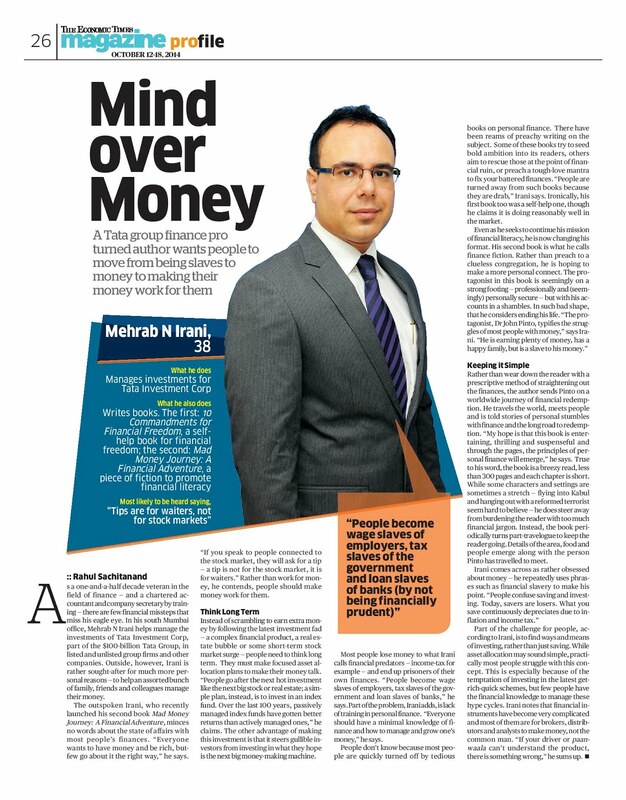 It will further delve into the relationship between man, money and his / her dreams. It will further explore and investigate into the life of various characters who are going through some kind of a mental, physical, emotional or psychological struggle because of money. Take the example of a housewife. She might be educated, reasonably rich, having a loving family – husband, children, in-laws but might feel attracted to a neighbourhood man who is financially more successful than her husband. This physical attraction because of money might be draining her emotionally and psychologically. What is the solution for her? I would like to dig deeper and deeper into such struggles which we humans face in our daily life because of the interplay between man, money and our dreams. 11. What is the biggest surprise that you experienced after becoming a writer? The biggest surprise which I experienced after becoming a writer was to actually see the childhood proverb which I had always heard but seldom believed – the pen is mightier than the sword. And really speaking the pen is many times mightier than any sword or weapon because a weapon can cut hearts while a pen and join hearts and heal souls. As a writer, I got an opportunity to heal hearts, elevate lives and change souls. 12. Writing can change the society. So what aspect of the society you want to change through your writings? As I said earlier, I just want to change one thing and that is to remind people of their personal callings, to rewind their lives many years or decades back when they were children and led a pure life full of positive dreams, to reintroduce them to their dreams, to empower them with the courage and belief that their dreams can turn into reality, to remove the biggest impediment between them and their dreams in the physical world – money – helping each one to move from financial slavery to financial freedom so that they can then live a worry free life to achieve their self-actualization goals and realizing the very purpose of existence on this planet. I would always like to connect with other people. Books are the primary medium but there are others also like talks and speeches, TV and Radio shows, press and media as wells as movies. I myself learn while connecting with people. And connecting with people helps me to understand humans better and then produce want is the real need. And I want to connect with the masses. That is why I write articles in the press, appear on various TV and Radio shows, talk at various conferences and events and now books. However, after a certain point books have a limit of penetration since there are some people who would simply never want to read. Hence, to connect with those people I am exploring other mediums like movies and TV shows. I am talking with people to explore the idea of converting “Mad Money Journey” into a movie. I am also planning to do a TV show on money and finance which will be very different from the rest. It will be a thrilling yet emotional show which will explore and connect people with their dreams and show them how money and finance are preventing them from achieving their highest self in life. The show will not just teach to earn money, it will help to fulfil dreams. When one is writing then he/she has to just concentrate on writing. The person has to be pure and honest to one’s own self and write what he/she actually believes in. Once the manuscript is ready then let the editor do their work with full independence. The editor is the first person who is reading the manuscript and brings a whole new perspective and thought the process to it. Don’t interfere with the editor’s work. After then the copyediting, book title, cover design, production and many other items go into it. Once the book is ready then that is your final product. Now, we have to go all out in creating awareness, branding, publicity and marketing of the book. A writer writes because he/she wants the world to know of his / her idea. Wants to connect with the world, wants the world to read his / her work and that can happen only when the book actually sells. So, if writing a book is a project then I would say that it has two components – the first being writing, editing, title, designing, production etc. and the second being branding, publicity, marketing and sales. Without the first one being good there is no hope for the book to succeed but just because the first part is good does not automatically mean that the book will succeed unless the second part is put in place. 14. Do you have anything specific that you want to say to your readers? In prayer, we communicate with the divine; in meditation, we are in communion with the divine. There is a prophet within each one of us, it is upon us to recognise the God within ourselves. And in wisdom we discover God. I would wish everyone to discover the divine almighty within themselves and achieve their highest self which will happen when they live their best lives by accomplishing the very purpose of their earthly journey. All the best to everyone. So Mr.Irani, it was great interacting with you. I really hope that we will have many more conversations in future.